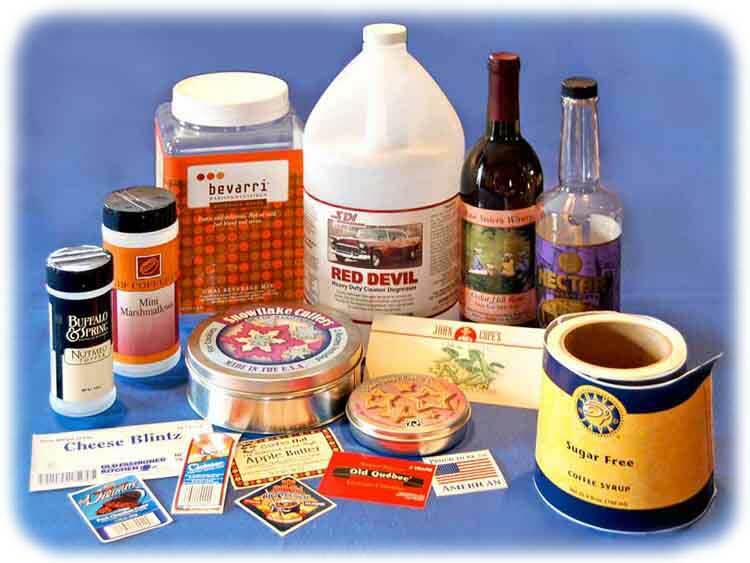 Letterpress, Flexographic, Rotary Letterpress, Rotary Silkscreen, and Offset printed labels, using every commercial material – paper, foil, vinyl, PVC and all other synthetic materials. We specialize in the innovative and unusual, including UV coating, multi-layer piggyback construction, and sophisticated materials engineered for any environment. USDA, FDA, UL, and CSA approved materials are available, as is consecutive numbering.